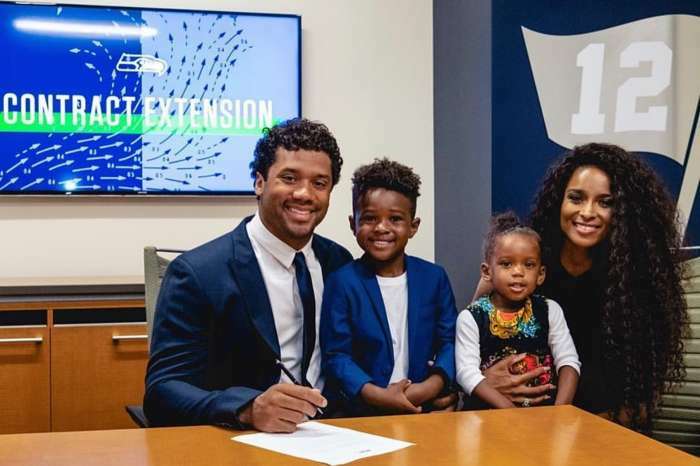 Ciara and her husband, Russell Wilson, have debuted their daughter, Sienna Princess, on social media. The baby girl was born almost five months ago and thus far — her parents have made sure that she remained anonymous. Well, this evening, the athlete and singer decided to give a glimpse of baby Sienna — but her face is still not visible. In the photo, big brother Future Zahir Wilburn, 2, whom Ciara shares with her ex-fiancé and rapper, Future, is sitting next to Sienna and Ciara. The trio is watching a football game between the Seahawks and another team in a large stadium and wearing Wilson’s number 3. Fans are a bit unhappy because Sienna’s face was not visible in the photo and let Ciara know it. A die-hard supporter decided to clap back at the commenter above who questioned Wilson’s decision not to kneel during big games. 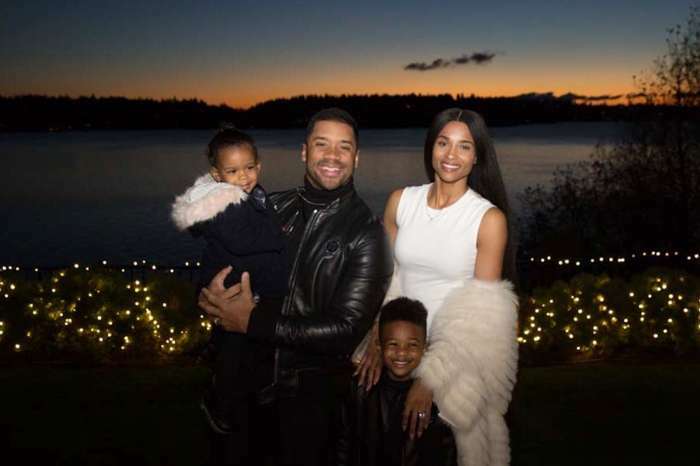 Many are happy to see that the blended family is doing well after the nasty fights between Ciara and her baby daddy. A few months ago, Russell personally brought little Future to Atlanta so he could be with his father and attend his sister, Londyn’s birthday party. At the party, the two men worked out their differences. Do you think the couple will ever share a picture of their baby girl’s face? I personally love Ciara and Russell. The only problem I have is how she’s always shown Baby Futures face in pictures and his dad would get so upset. Why are they not showing pictures of Sienna?